TEAM OF VAIDYAS (AYURVEDA DOCTORS), HEALTH PROFESSIONALS, DISTRIBUTORS ETC. Bliss Ayurveda India products are formally registered by Ministry of Health and competent authorities on Herbal Food Supplements in Italy, Norway, Germany, Ukraine and Russia. This proves our expertise in designing product formulations according to the Laws and quality control regulations of respective countries. Mission of Bliss Ayurveda India is to Help healthy people to maintain and promote their health i.e. “Swasthasya swasthya rakshanam” and to manage imbalances and disorders following the principles of Ayurveda. 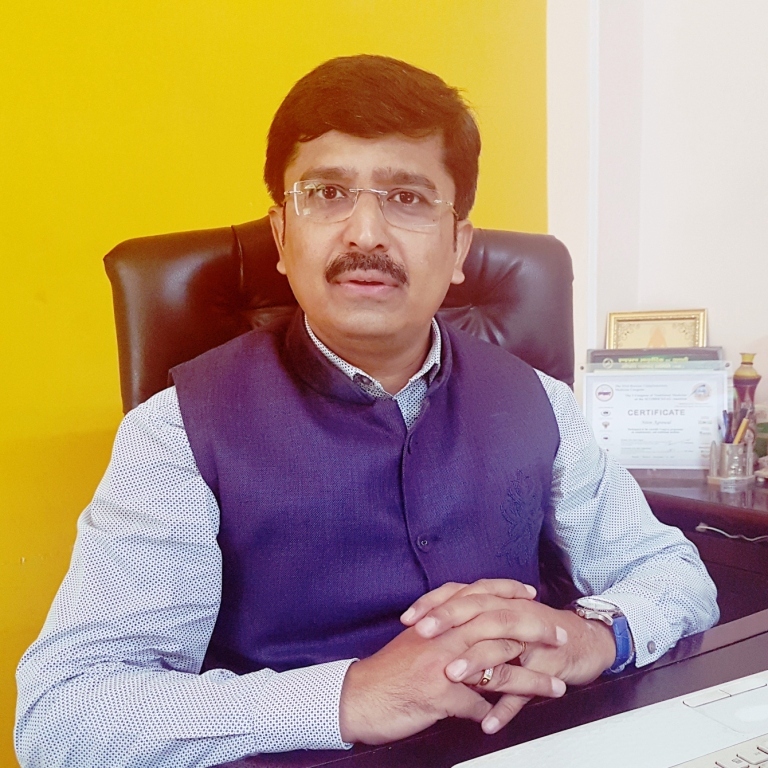 Dr. Nitin Agrawal is an Ayurveda Doctor by education and passion. 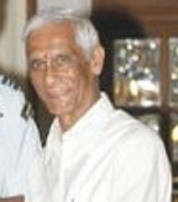 He has been practicing Ayurveda for almost 20 years and is an expert in Pulse Diagnosis and Panchkarma treatments. He is passionate about applying the ancient knowledge of Ayurveda in modern context and conveying its potent healing potential to improve the quality of Health & Life of people. After completing six years of degree course in Ayurveda Medicine and then Post-graduation in Ayurveda, he has been traveling extensively to more than 25 countries including USA, Europe, Russia and Africa for consultations, lectures & organizing courses for Ayurveda. In the last two decades he had been privy to many cases where people in hope of better health, have literally had their lives destroyed by inaccurate health information and dependency on pharmaceutical drugs. For maintaining optimum health there is another way…the Natural way! He had proved it personally and seen what it can do, for thousands of people as well. This can be achieved by Herbal Supplements which are based on the ancient wisdom of Ayurveda. These experiences led the concept of Bliss Ayurveda which was founded in 2006, with dream of creating a company that would provide the highest quality Ayurvedic herbal products to help people achieve their optimum health. As a Celebrated speaker he is regularly invited to speak at various international conferences & seminars. He is amongst one of the leading thinkers and young leader in the field of Ayurveda. His latest initiative is start of Bliss Ayurveda India for availing quality products with financial independence to people of India through Network marketing. He envisions Health, Wealth and Bliss for every Indian through Bliss Ayurveda India. 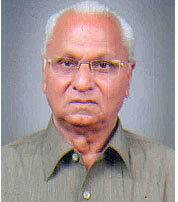 Vaidya Kshemendra Gupta is an Ayurveda doctor practicing Ayurvedic medicine for more than 50 years. He is the patron Vaidya of Bliss Ayurveda family who nurture and blessed Bliss Ayurveda with his huge experience and in depth knowledge. The 78 Years old member of Bliss Ayurveda India Team, veteran has shared some of his precious and experienced Herbal formulations with us and that has helped us develop and design some of our current range of products. He now Lives in Rishikesh, in the foothills of Himalayas. Mastering the art of selecting most powerful herbs from Himalayas and specialized remedy formulation is his strength. One of the most experienced and prominently known expert of Ayurveda Herbs in India. He has traveled all over the country for identification of herbs and has been working with the Government of India and many Ayurveda companies & Institutions to standardize, Identify and cultivate Ayurvedic herbs. As one of Bliss Ayurveda India Team member, he is also working as a Consultant for Bliss Ayurveda and helps us in physical examination of herbs used in our products. He has also helped us to identify the Natural and Organic sources of herbs for our Products. A qualified company secretary (Corporate lawyer) by education, she developed passion for Ayurveda after her marriage with Dr Nitin Agrawal. She is instrumental in writing articles on the holistic approach of Ayurveda towards health, diet routines and Ayurvedic food recipes. 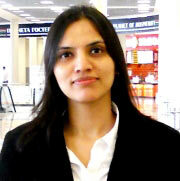 She is an expert in Ayurveda cooking and is currently writing a book on Vedic cooking. Dr. Ravi Raghuvanshi is internationally traveled Senior Wellness Consultant and speaker of Bliss Ayurveda. He dives to such a depth in his speeches that anyone interested in expanding their understanding of Wellness and Health science will easily get motivated. He practices what he preaches. 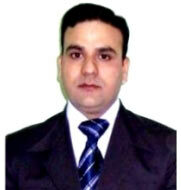 He has six years degree course in Ayurveda Medicine & Surgery and expertise in Panchkarma therapy. He has worked as a Clinical Lecturer of holistic health management and has experience of research on over thousands of patients across the world. He is currently heading Bliss Ayurveda Health Center, a traditional Ayurveda and Panchkarma Center serving people of different countries. He is highly responsible & enthusiastic and always looking for new and innovative ways to accomplish his company’s vision under all challenging conditions. He assists Customer Service, Graphics Designing, Website related tasks and Public Relations. Mr. Awadhesh Karn joined Bliss Ayurveda as M.I.S. Executive. He was working for a social organization helping the cause of establishing Primary Schools for under privileged and tribal children all over India. He has been extensively traveling the length and breadth of the country for the purpose. 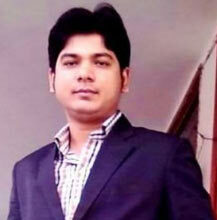 He got inspired with Dr. Nitin Agrawal and became a member of Bliss Ayurveda team to promote Ayurveda.